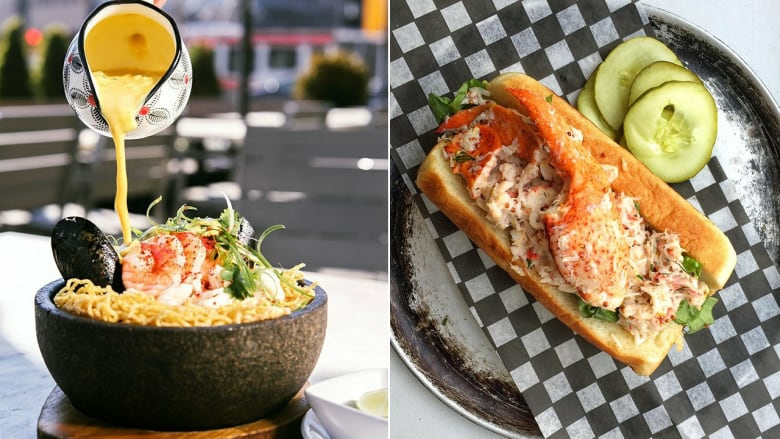 Ultimate eating recommendations for Squamish, Whitehorse, Moncton and delish destinations in between! This article was originally posted July 31, 2018. You've got your accommodations and travel booked for your next Canadian vacay. Next up: the food! Like you, we're firm believers in eating well on vacation. After all, what better way to get a true taste of the place you're visiting? So in order to help you make your reservations and plot out you dining itinerary, we crowdsourced your meal plans for you. With the experts. We turned to fourteen Canadian chefs from all over the country to ask for recommendations in their own towns. They weighed in on what's best for breakfast, lunch and dinner, where to get a taste of the local cuisine, and shared the spots where the locals eat. Plus, they let us in on where they actually dine and their recs for top bites. This is by no means meant to be a comprehensive list — Canada and every place below, big or small, has too many gems to dare to attempt that. 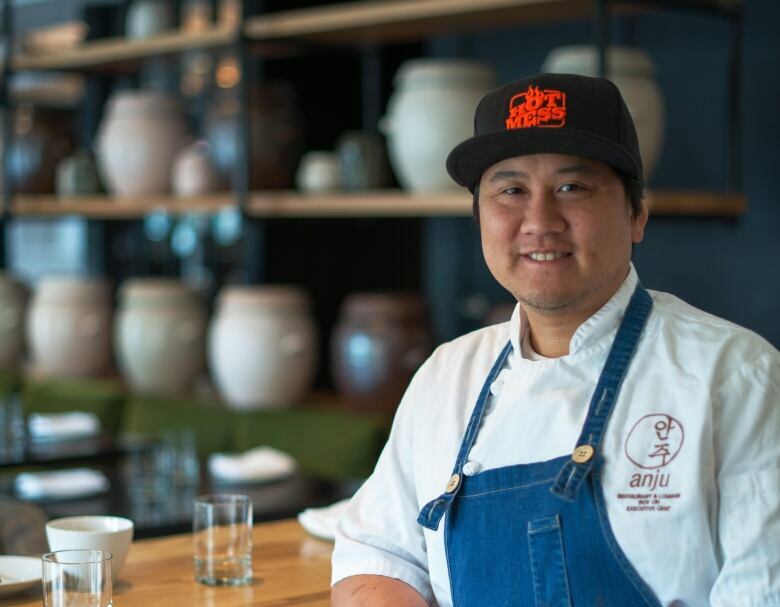 But if you find yourself headed to any of these locales, here's where these chefs would have you go. It's where they would head if they had just 48 hours in their cities this summer. For 48 hours in St. John's, start by taking in Canada's first sunrise at the top of Signal Hill with a coffee from Battery Cafe. Then take a hike around the North Head Trail and into downtown. Stroll up to the Georgetown neighbourhood of St. John's, near the Basilica of St. John the Baptist and The Rooms and grab a bagel at Georgetown Bakery. Stroll to the very nearby Bannerman Park and enjoy your snack of St. John's best bagel. Grab lunch at Mussels on the Corner, a new downtown eatery specializing in Newfoundland organic mussels. Head up to their sister property — O'Reillys — for pints and the best of St. John's traditional music scene and you probably won't leave until last call. For day two, head to Quidi Vidi Fish & Chips for the world's greatest hangover cure, overlooking Quidi Vidi Harbour. After that, an easy walk around Quidi Vidi Lake brings you back downtown for some leisurely afternoon shopping: Posie Row & Co, Fred's Records, The Craft Council of Newfoundland and Labrador and dozens of other downtown shops provide a great afternoon of "twacking". Then, have a little relax at your accommodation and head to Chinched Restaurant and Deli. Sample great local craft beer and the fine charcuterie of Chef Shaun Hussey and his team. Then check out The Black Sheep, St. John's best version of a NYC dive bar with great people and great live music every night from traditional to classic rock to blues. If I'm looking for a leisurely brunch, I head over to Edna in Halifax. Their scones with clotted cream pair perfectly with mimosas! If my kids have any say, we head to Fans in Dartmouth for a Dim Sum feast; turnip cakes, tripe and dumplings galore! If it's a greasy spoon breakfast, we go to the Pleasant Street Diner (also in Dartmouth). On Mondays when we do our running around, our favourite lunch spot is Qiu Brothers Dumplings on Barrington Street in Halifax. Steamed or pan fried, their dumplings are delicious and their spicy potato salad is something I often try to recreate. If it's rainy out and we need comforting, I Love Pho on the Bedford highway ticks off all the boxes! The owner, Thu, makes a mean Bun Bo Hue that is possibly the best soup you'll ever have in your life. If we have limited time, we grab a shawarma plate from Mezza. They now how many locations across HRM and despite expanding, the food is still super fresh and homemade. Sunny days call for patio beers and snacks at Stillwell Beergarden on Spring Garden Road in Halifax, or the Canteen team and I stay close to work and cross the street and have a few pints at Lake City Cider. At dinnertime, if my kids are involved, it's Yeah Yeahs Pizza to go and a few North Brewing Beers in the backyard with friends. If we're heading over the bridge to Halifax, it's Mother's Pizza in the Hydrostone or we grab fish and chips and house-brewed beers at The Henry House. Special date night? It's Bar Kismet for cocktails and killer housemade pasta and seafood dishes, or back to our all-time favourite restaurant, Edna, where we sit at the bar and order all the appetizers while sipping on local wine. Of course when all else falls through, we can be found at The Canteen enjoying the fruits of our labour. Summerside is a small (but mighty) city so I've included places no further than a 20 minute drive away. You'll find the locals at the Island Stone Pub in Kensington, the town right next to Summerside. They have excellent basics like burgers and fish and chips, but also some funky menu items like grilled Korean ribs with house made kimchi (the best kimchi I've ever had). And they offer an insane amount of awesome local brews on tap and a beautiful deck to enjoy them on. When you're not feeling like a huge meal and you just wanna throw back some oysters and have a beer, I would head to Carr's Oyster Bar in Stanley Bridge. There's something nostalgic for me about sitting on the deck and enjoying fresh oysters while watching tourists and locals jump off Stanley Bridge into the water. There's also a beautiful upper deck at the Breakwater Bar & Grill at The Silver Fox. It has an amazing view of the boats coming in and out of the marina where you can enjoy some oysters and a classic caesar. My favourite lunch spot in Summerside — or the YSU as my buddy Dan Kutcher calls it — would be his spot, South Central Kitchen & Provisions. It's where the OpenEats staff head to for a change of scenery, and what we call "lunch beers", or an awesome cup of Receiver Coffee. The best beer in town, although it could seem a little biased, has got to be our sister brewery, Evermoore. It's located in the historic Summerside train station, and the beer is so crisp and refreshing. A quick drive to Tyne Valley will also take you to another awesome local brewery called Moth Lane, along with their sister restaurant Backwoods Burger. Moth Lane hosts some of the coolest events in West Prince, like Drag Queen Trivia, stand-up comedy and lots of jam sessions! Barnone Brewery, just outside of Kinkora, also hosts some killer parties, such as Summer Solstice. And of course, I have to mention the awesome food at the Summerside Farmers Market on Saturday mornings. There truly is something there for everyone, including spring rolls, noodles, crêpes and waffles! If you're looking for a place to dine in Moncton, I recommend Little Louis', Windjammer, 2nd Floor at Dolma Food, Tony's Bistro, Bistro 33, Manuka and Black Rabbit in Shediac. For breakfasts on Saturdays, check out the Dieppe and Moncton markets, and the Shediac market on Sundays. I recommend brunch at Les Brumes du Coude on the weekends, as well. Co_Pain is the best bakery and Clementine Cafe, Laundromat Espresso Bar, Down East and C'est la Vie have the best coffee, in my opinion. For lunch, I also recommend Les Brume du Coude, as well as Isac Korean Cuisine, Notre Dam De Parkton or Blue Olive — they're hidden gems. If you're looking for the best beer and food, I recommend Tide & Boar, Pumphouse or again, Notre Dam De Parkton at Laundromat Espresso Bar. For a weekend in Montreal, I recommend starting Friday night at Vin Papillion. Go for their natural wine — anything they recommend is amazing. I love the ham plate and the thinly sliced celery root with bagna cauda. On Saturday morning, head to Elena CSPS for coffee and cornetto. For brunch or lunch I recommend Torteria Lupita for the chilaquiles or Arthurs for the McArthur sandwich, followed by ice cream from Dalla Rose next door. For dinner, check out Damas for their humus lahmé — it's a must-have. For Sunday's brunch/lunch, I recommend Larrys for a real choose-your-own-adventure kind of menu. The breakfast sandwich is to die for, however, do not let that stop you from having any of the other menu items because they are all super delicious. For dinner, head to Elena. You must try the M. Fun-guy and any of the contorni. For later in the evening, visit L'express, a classic French bistro, with amazing service with the cheapest wine menu in the city. The best thing about this city is you can get great food by any culture pretty much anywhere you turn. Banh cuon, and a big bowl of Pho are best for breakfast — locals head to Pho Linh. And for coffee, I recommend Reunion Island in Roncesvalles. My favourite places to eat are Han Moto , Superpoint on Ossington and Loga's Corner in Parkdale. I recommend Food & Liquor for food and liquor and Round the Horn for all your sports, craft beers, patio hangs and hotdogs — they're both hidden gems. Breakfast for me is Falafel Place on Corydon Avenue. They have the best chicken schnitzel in town; add their potato pancakes, a couple of over-easy eggs and a drizzle of their homemade hot sauce and it hits the spot on Saturday mornings! It has a relaxed, down-to-earth environment, plus the owner is hilarious. For lunch, I recommend my cafe (lol)! And Sabai Thai Eatery on Corydon Avenue. Owned by a local family, they have good food, it's well-priced and authentic food. Pizzeria Gusto is always great for dinner and worth the splurge. It's entertaining to see the wood-fired pizzas being cooked, it's cozy and warm for a winter evening and has a great patio during Winnipeg's hot summers. The chef is local, uses local ingredients and the atmosphere is fun and romantic. And you can't miss Feast Café Bistro. There is nowhere else in the city (and only a few restaurants in the country) where you can experience local, First Nation, Métis culture and food that celebrates truly Canadian foods and ingredients from this great land. We serve bison, pickerel, wild rice, wild berries, traditional bannock and squash bannock pizza — just to name a few! For breakfast, check out Daisy's and Hometown Diner. I recommend Primal, Congress Beer House and Sticks and Stones for lunch. And for dinner, try Taverna, Little Grouse on the Prairie, Ayden, and The Hollows' 5-course tasting menu. I also like to eat at Jin Jin. Locals love Odd Couple, Park Cafe and Diner and Grassroots Restaurant Group. And for local cuisine, I recommend Calories, The Hollows and Hearth — a hidden gem. I'm a big pastry nut and always on the run, so for breakfast, I have to say it's a toss up between a danish from Bonjour Bakery or a kouign-amann by my very talented chef friend Jennifer Stang at La Boule Bakery. Right in that area you can also hit up Ace Coffee Roasters — the space is gorgeous, and you definitely have to try a doughnut! I have to add that Ritchie Market (where Biera is located) is also in this same area, you can hit us up, have amazing coffee by Transcend (or maybe even one of their milkshakes), or grab a Blind Enthusiasm growler! If I was going for a more sit-down breakfast, it would probably be at Cafe Linnea. It's a beautiful space, and they grow a lot of stuff on their own garden and focus on high quality meats from local farms. For lunch, I am a big sucker for a proper bowl of pho, and my go-to spot is always Pho Han Pasteur Kingsway. Prairie Noodle Shop is another great option — they do a cool local spin on ramen and have amazing dumplings made by hand. My number one dinner spot is Clementine. They use high quality products and do a ton of really cool ferments and house-made products. While they are also very well known for the excellent cocktails, they have a fabulous wine list. Woodwork is another great spot for great local food and excellent cocktails. In that same neighborhood you'll find Bündok, Wishbone (which has a great wine and sherry list! ), Bricco, and the Alder Room — for if you're looking for a very innovative and local tasting menu. Another great spot for dinner is Boualouang Laos and Thai Cuisine, located in Chinatown. If you're looking for a hidden gem, head for a coffee, sweet treat or breakfast sandwich from Lock Stock Coffee. It's kinda hidden away on Jasper Ave, and at night it becomes Red Star Pub, a good spot for a drink. Again, I'd have to say Bonjour Bakery is also a hidden gem. They have the best cheese selection in the whole city! I don't think enough people know we have such a quaint little bakery in Edmonton, and Yvan the owner really knows his stuff. I have always loved going for classic cocktails in The Confederation Lounge at the Hotel MacDonald lounge. Three Boars is definitely best for late nights — I'm a sucker for the schnitzel sandwich and a good cocktail or beer after a long day! Since Yellowknife has a wide variety of restaurants and diverse cuisine, there are lots of establishments for the locals to frequent. I've always enjoyed brunch at Thornton's Wine & Tapas Room. For lunch, I recommend The Museum Café. And for dinner, The NWT Brewing Co./The Woodyard Brewhouse & Eatery — my go-to for socializing, good food and good times. I also like heading to The Trapline Lounge at The Explorer Hotel for a quiet, intimate evening. Hidden in the Kam Lake industrial park is a food truck called Noodo Monster. They opened in the middle of winter and I've heard nothing but good things about their product. Most dine-in restaurants offer fish from Great Slave Lake, which is the only local product available within the Yellowknife area. Most local products are seasonal and often limited in supply, however the majority of restaurants are doing their best to provide local fish when available. And finally, don't miss pickerel season. It's a great tasting and delicate fish available in the late summer months. Chef Jenny Chan and Vero Bistro are highly underrated for brunch. That's fine by me as I usually don't have to wait too long to get a table. Check them out for lunch and dinner, too! Thi Thi Vietmanese Submarine by the Harry Hayes Building is also great for lunch. I always get the beef sate; it's super spicy but so worth it. They're typically lined up out the door, but they're quite efficient so the wait isn't usually that long. For dinner, Bridgette Bar is serving some of the best food in Calgary right now. 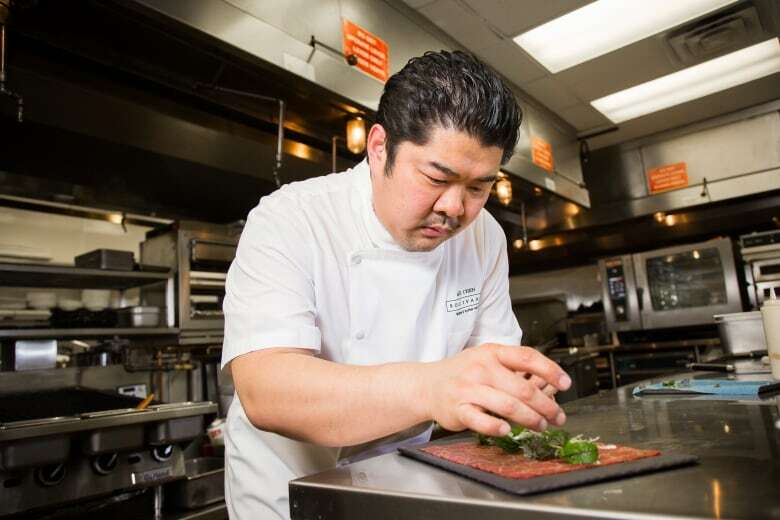 I recently tried Chef JP Pedhirney's beef carpaccio and it is one of the best bites I've had in a long time. Aside from the food, the room is amazing, great for special occasions as well as a casual night out. I always try to make it to Bar Von Der Fels right after work because the food there is just so good. The kitchen is tiny, but that means Chef Douglas King has total control over his small but ever-changing menu. The wine program is also super fun, so you'll always find something interesting to go with your meal. Where do the locals really dine? 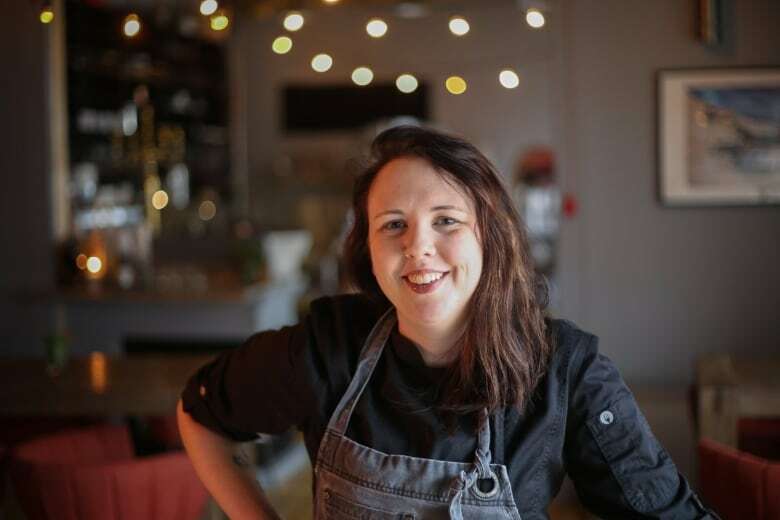 This is a cop-out answer, but there are so many amazing restaurants in this city, I feel like the locals are supporting everyone who is doing delicious, creative food. 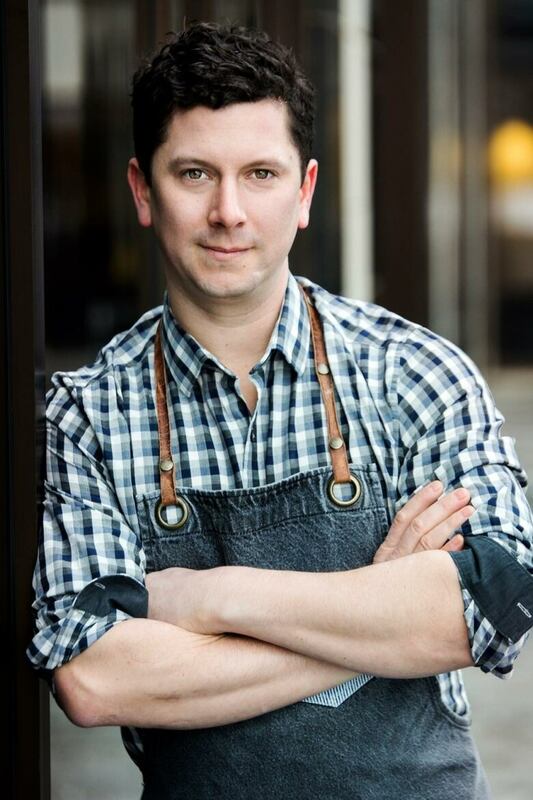 I've always loved what Chef Paul Rogalski is doing at Rouge. It's a classic Calgary restaurant that speaks to local cuisine. Try to go when their backyard garden is producing for the kitchen — you can't get fresher than that. Maruju Sushi is a hidden gem. Go for the omakase at dinner and you will not be disappointed. 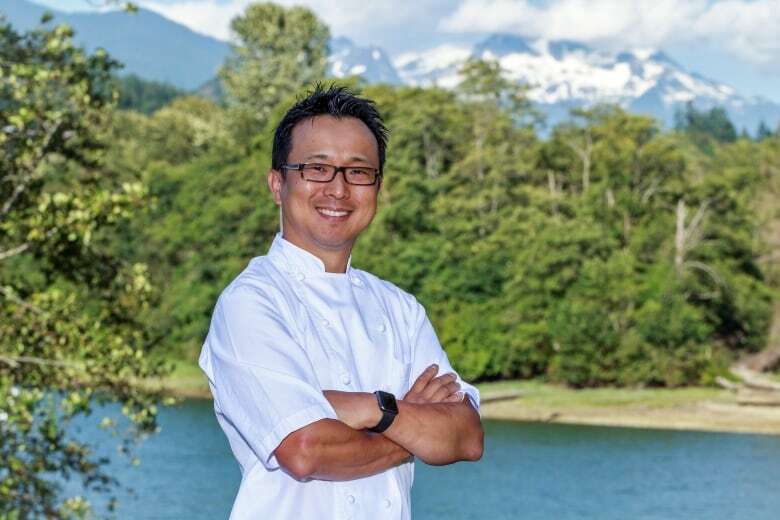 Chef Dean Chan is creative and always has top quality fish in his cooler. Foreign Concept is definitely worth the hype. #TeamJinhee has support all across this nation and even beyond, but Chef Jinhee Lee is not just a TV star; her food is consistently delicious and always looks amazing. If I were to have one essential bite in Calgary, it would be the Alley Burger at Charbar — a pork and roasted garlic sausage patty topped with Quebec cheese curds and piri piri aioli are delicious and this burger has so much history and notoriety here in Calgary. Co-chefs John Jackson and Connie DeSousa used the sell them on random nights in the back alley of Charcut for $5. The buzz they created was unreal. Go see why. I think Vancouver cuisine is marked by the fact we are such a young city. We are still finding our own voice. Many young Vancouver chefs have gone abroad, learned new styles, and brought them back, combining them with our beautiful seafood and wonderful ingredients. I also believe that Vancouver has the best Chinese food in North America, bar none. It's very authentic and the skills of chefs here are better than anywhere else I've seen. For day one, I would start with the double-baked almond croissant from Thomas Haas Chocolates & Patisserie. It's one of my favourite things to have when I'm craving a treat. For lunch, my family loves the dim sum at Fisherman's Terrace in Richmond. And for dinner, there's nothing like Le Crocodile, which is one of my family's favourite spots for traditional French fare. Chef Michel Jacob is one of the city's most respected chefs and he consistently serves dishes that I love and admire. Or, if you feel like spending the day in Richmond after your visit to Fisherman's Terrace, I would highly recommend Seto Japanese Restaurant, a family-owned, traditional Japanese restaurant with consistently good food that's done well every single time. We've been going for 15 years, and our kids love the chawanmushi (an egg custard dish). For your second day, start with dim sum. I love HK BBQ Master in Richmond for their succulent and crispy BBQ pork, BBQ duck, soy chicken and char siu as well as the efficient and friendly service. They are simply the best in Vancouver. Phnom Penh is the first restaurant that I visited in Canada after leaving my home in Malaysia. To this day, I admire how this Cambodian institution has earned its niche with its authentic takes on Southeast Asian cuisine. Be sure to order the chicken wings for lunch. For an afternoon snack, Oyama Sausage Co. has long held a reputation for producing the finest quality charcuterie from uncompromisingly quality ingredients and ethically raised meats. There are so many amazing things to choose from, though my favourites are their jambon de bayonne and duck prosciutto. For dinner, I love all of Chef Angus An's dishes at Maenam. Their cuisine is tasty, modern and progressive and I appreciate their consistent focus on fresh flavours, local ingredients and innovative twists on centuries-old recipes. For a long time, Squamish was known as 'that stop for gas or Tim Hortons' on the Sea-to-Sky Highway between Vancouver and Whistler, but it's been our goal to change that perception from day one. At The Salted Vine, I think we've done a good job of capturing the attention of folks heading up to Whistler or home to Vancouver to dine, but we also have people making the beautiful drive up from the North Shore or Lions Bay to join us regularly for brunch or dinner. In Squamish, there are two institutions I always visit whenever I have the chance, and am quick to recommend. The first is Sushi Sen Japanese Restaurant. I try to eat here at least once a week and am always impressed by the quality and freshness of the menu items. The second is Backcountry Brewing. I can't say enough about this place. When my chef friends come up from the city, I always take them there. What's not to like about amazing craft beer and tasty pizza? I'm very proud that this place is in my backyard. 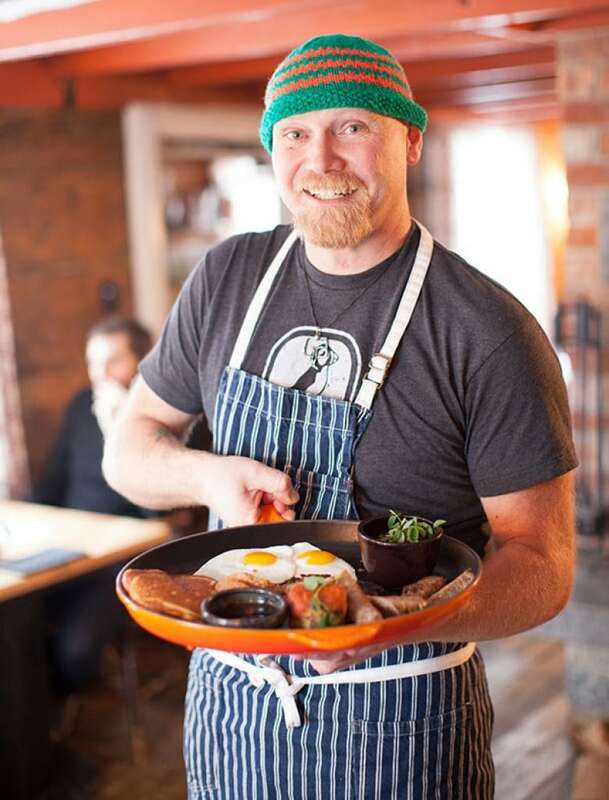 After having spent 10 years working at Araxi in Whistler, I haven't had as much of a chance to get up there since opening The Salted Vine, but whenever I do, I like to spend my mornings on the hills or hiking and the afternoon eating and drinking at Bar Oso. They have the most innovative cocktails and tapas in the village served up by their own chef Jorge Munoz out of a spectacular open kitchen and bar. For dinner, the newly reinvented Il Caminetto is a great spot. They feature everything from daily baked bread selections to a variety of house-made pastas and reimagined Italian classics. It's the type of high-quality cuisine you might expect from the same team that has made Araxi an institution in the resort town for more than three decades. Whitehorse has grown more sophisticated with an increasingly interesting food culture. There is a mix of straightforward pub fare along with tastes from around the world. I quite regularly go for a late breakfast at Ricky's at the Day's Inn for their wide assortment of options from perogies to waffles to eggs. Alpine Bakery has a daily soup that I often enjoy as a late lunch. Alternatively, I recommend The Claim for a snack. For dinner, go for really good, authentic Mexican food at Sanchez Cantina on 3rd Ave. Café Balzam — a few minutes out of town on Takhini Hot Springs Road — is an amazing French crêperie where savoury and sweet options are real fun and I would definitely consider it for a dinner out. I like going to The Woodcutter's Blanket downtown, at the corner of Strickland and 2nd Ave (look for the moose) for an afternoon break or to finish the evening — they make yummy cocktails and some tasty morsels to go with them.